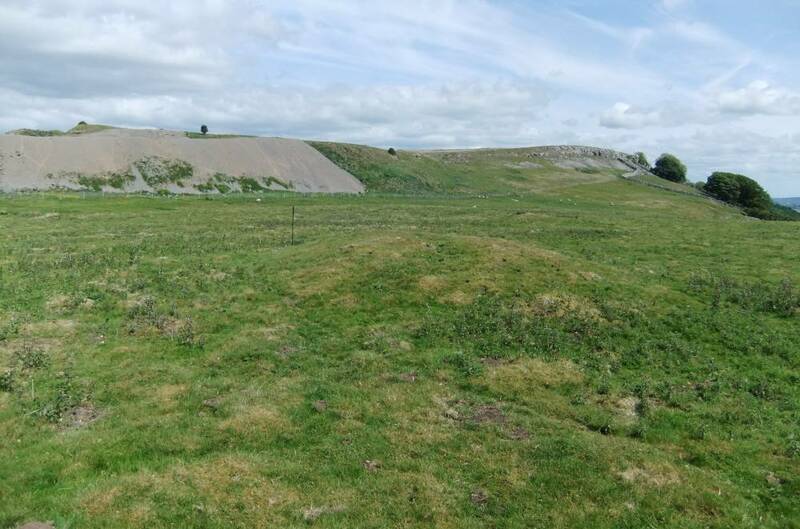 Geology Talus slope below Redmire Scar which is the surviving remnant of the heavily quarried Main Limestone forms the south facing Uppermost Scar overlooking Wenseydale. 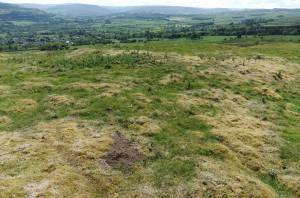 Record Name Unenclosed settlement at Redmire Pasture. Record Description On grounds that the sum of the parts are greater than the individual componants or sites, this record will detail the many different sites at this location which together provide an insight into the nature of Bronze Age Settlement. 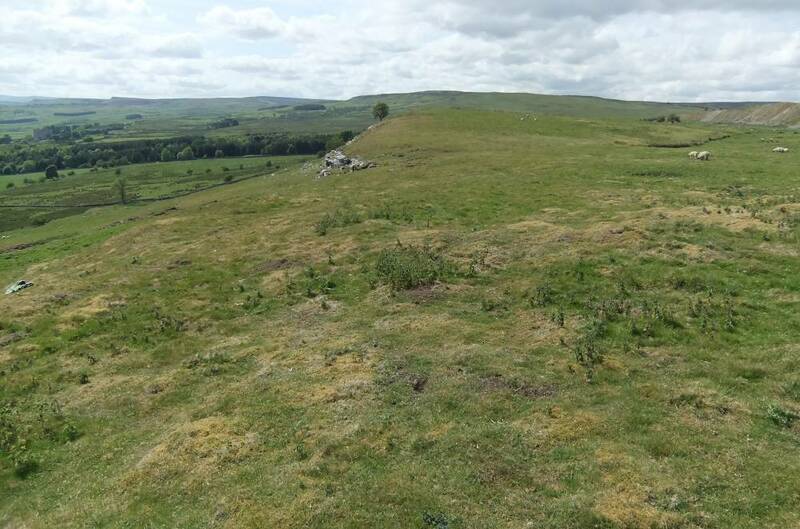 This settlement complex is comprised of: firstly a large unenclosed house platform at the above grid reference with rear scarp and frontal apron cut into the hillslope, approximately 18m *16m overall. Secondly a series of platforms (see feature schedule below) on the lower slopes. Thirdly well defined hollow ways which may relate to these settlements. 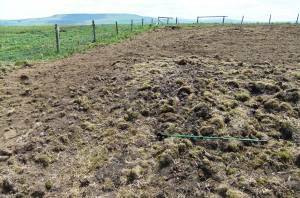 Fourthly at least three burnt mounds. 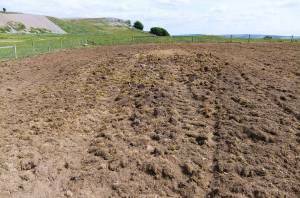 Fifth, at least eight stone cairns and finally areas with charcoal concentrations and lithic finds. Note! 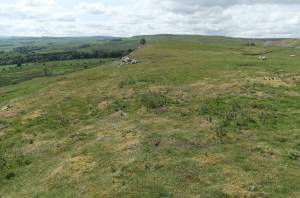 Whereas this location is within Redmire Parish, this complex of sites are more sensibly included with the SWAAG Preston Moor Study Area. 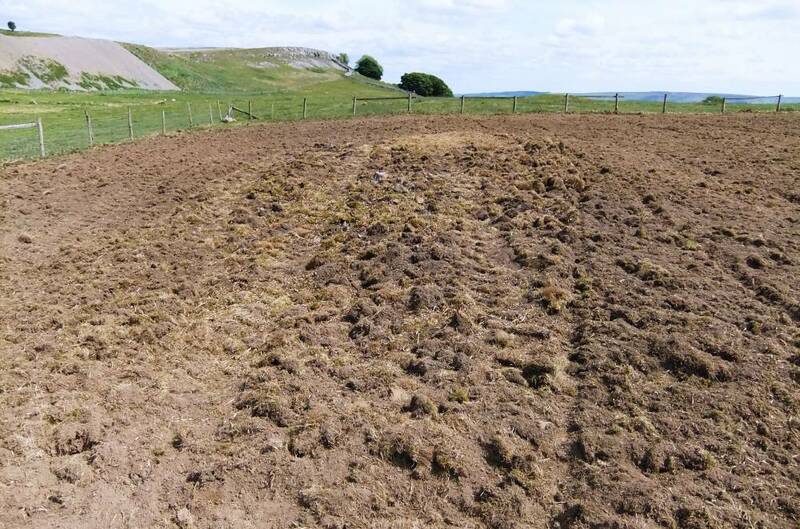 Additional Notes This previously unrecorded Bronze Age Settlement Complex is on limestone at a well watered, south facing elevated location very attractive to settlement. 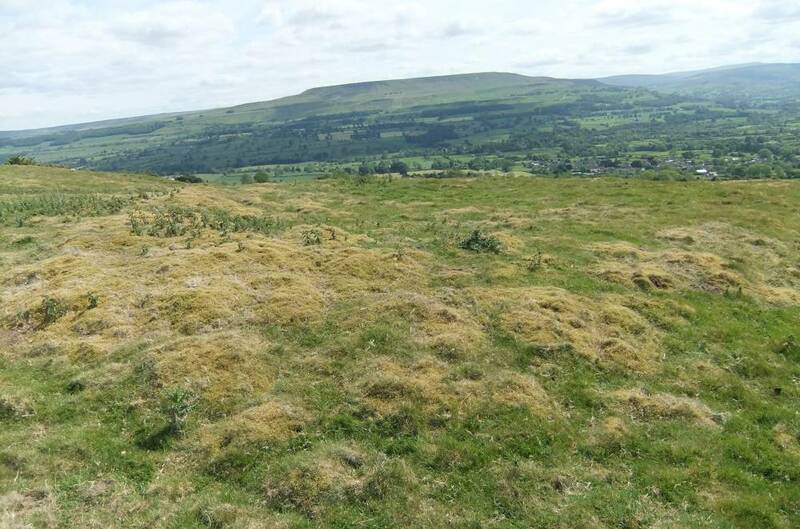 The surviving componants which are detailed here may be just the remnant of a settlement complex once much more extensive but now alas, largely quarried away with no record. 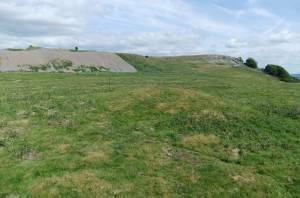 The worked out quarry above is very large and has completely removed the area of limestone pasture above this settlement complex. 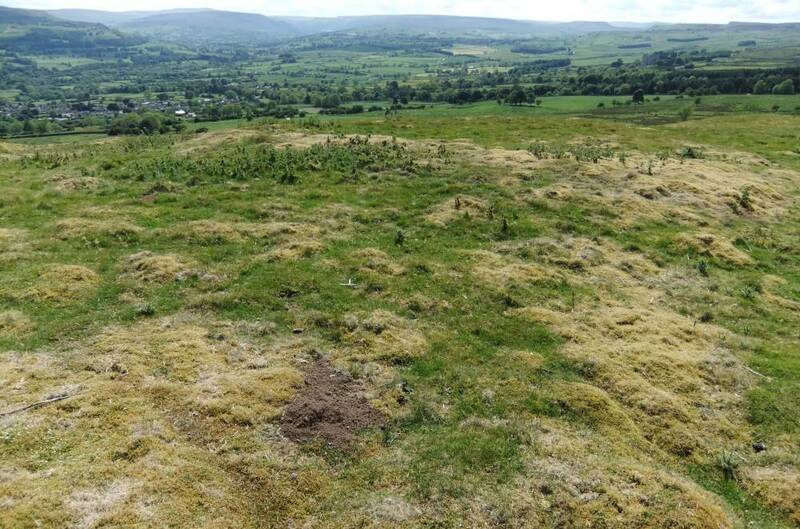 However, the large well preserved Ring Cairn at Thorny Bank Hill together with the fragmentary field system and the two burnt mounds nearby (SE050933,380M, CENTRE) which have been previously recorded (Laurie 2003, 2004)may represent the northern limits of this settlement complex. Feature Complex: To follow. Image 2 Description Redmire Pasture. 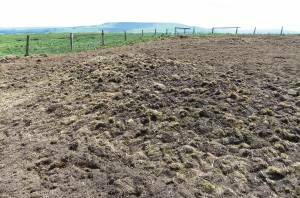 Burnt Mound in foreground revealed after ploughing and reseeding pasture. Image 3 Description Redmire Pasture. 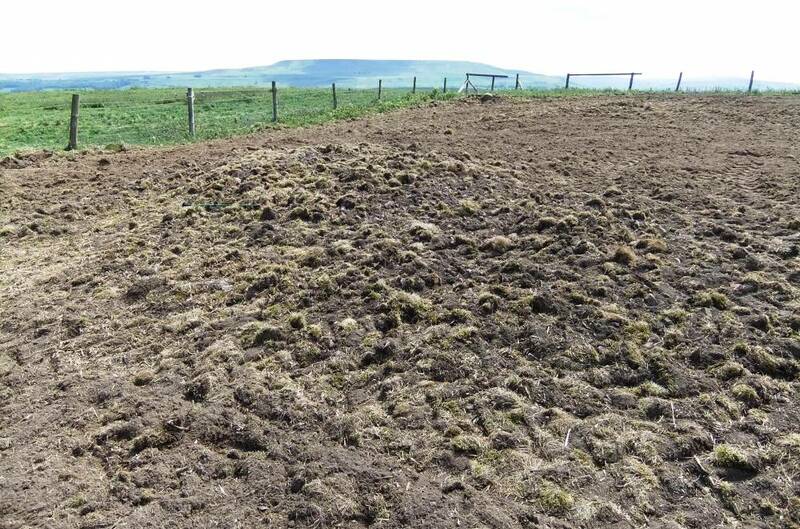 Burnt Mound in foreground revealed after ploughing and reseeding pasture. Image 4 Description Redmire Pasture. 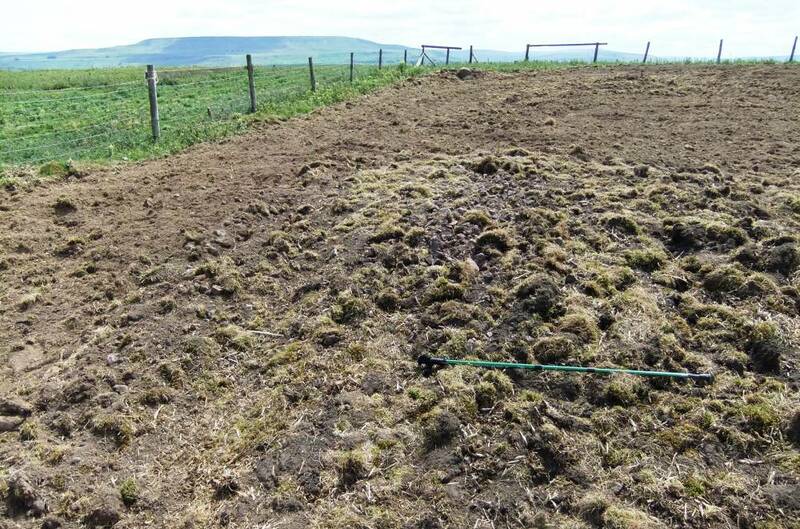 Burnt Mound in foreground revealed after ploughing and reseeding pasture. Image 5 Description Redmire Pasture. Round House Platform. 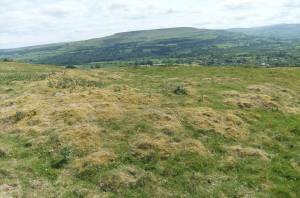 View southward to Penhill.